The giant software company Microsoft have announced a new chat tool primarily for businesses. 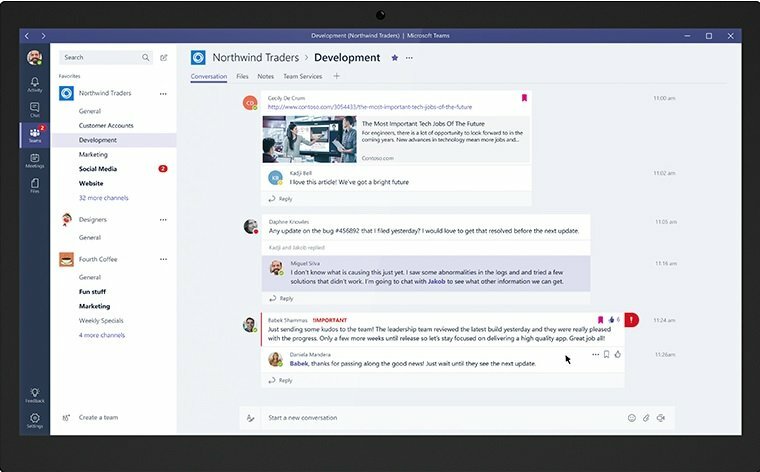 This chat tool is built directly into the Office 365 and is named “Microsoft Teams”. As a matter of fact, Microsoft says this tool is the combination of both instant messaging and chat room. In addition, this tool also supports Skype for video call, Office, Emoji, and Gif using which you can personalize your digital workspace. According to Microsoft’s corporate vice president for the Office team, Kirk Koenigsbauer, Microsoft Teams is helpful to the work done by different persons within the organization that can be reviewed, accessed and integrated. Microsoft Teams is totally a new experience, flexible,and friendly. For commercial customers, Teams is available in preview in 181 countries and 18 languages. Also, it will be available to everyone in initial months of 2017. Before Teams, Slack was the dominant chat tool for businesses. But now Microsoft’s new tool has come up to give a tough competition to Slack. After all, Teams has shown some powerful previews that will obviously show some competition here. This may be the reason why Slack has published an open letter to Microsoft which they published in New York Times.